Francisco González, chairman & CEO of BBVA, presented the book Change: 19 Key Essays on How the Internet Is Changing Our Lives Wednesday afternoon at the Massachusetts Institute of Technology Media Lab. The book, which compiles the views of distinguished specialists from various fields of knowledge, is the sixth edition of an annual series published by BBVA that explores the key issues of our age. This new school year, Madrid and Navarre are already teaching programing to 8-year-old students. However, some experts believe that these classes should be given to children as young as five because they “learn to program, develop cognitive skills and improve their logical reasoning”. La Vela is the main building in the new headquarters that the bank is building in Las Tablas. The office and service building complex is designed to accommodate a total of 6,000 employees, who will move in between June 2013 and the first quarter of 2015. The National Basketball Association (NBA) and BBVA, the league’s official banking partner, today announced the schedule for the second annual NBA 3X Tour presented by BBVA that will visit eight cities in Spain from May – October. Combining a competitive 3-on-3 tournament with free fun interactive basketball activities for fans of all ages, the NBA 3X Tour presented by BBVA will tip off in Malaga on May 11-12, featuring NBA Legend Ron Harper and the Detroit Pistons Flight Crew, culminating in the National NBA 3X Finals on October 4-6 in Bilbao. 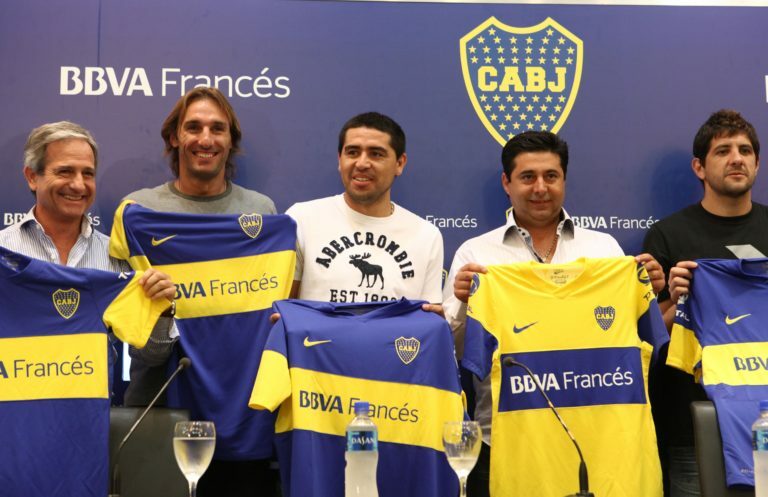 BBVA Francés announced today the signing of two sponsorship agreements with which it will become a strategic sponsor of the Argentine football clubs Boca Junior and River Plate. 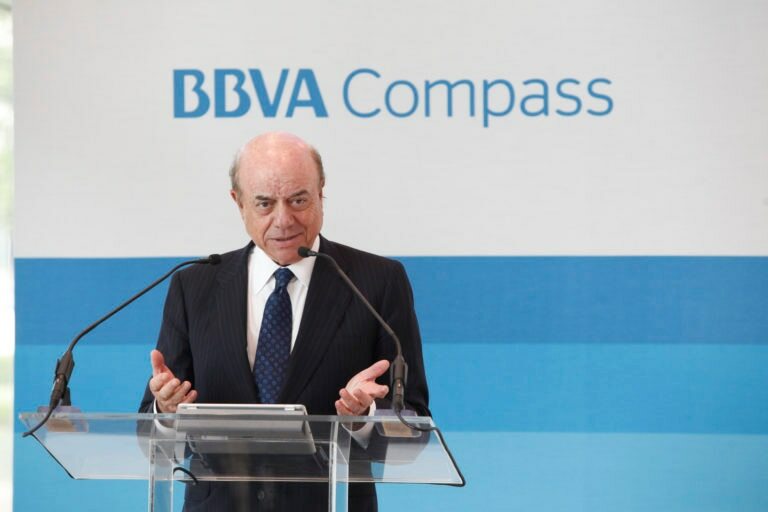 BBVA Compass announced today that it has signed an agreement to become an official partner of the Dallas Mavericks. BBVA Compass has 110 banking centers in the Metroplex and ranks as the fourth largest bank in the Dallas-Ft. Worth metropolitan area based on deposit market share. With operations throughout seven states in the Sunbelt Region, BBVA Compass ranks among the top 20 largest financial institutions in the United States and the fourth largest bank in Texas. BBVA Bancomer today unveiled the winning architectural projects for its two new buildings in Mexico City: the BBVA Bancomer Tower and the BBVA Bancomer Operating Center. Architectural firms Rogers Stirk Harbour + Partners and Legorreta + Legorreta will work together to design the BBVA Bancomer Tower, while Skidmore, Owings and Merrill (SOM) will pen the BBVA Bancomer operating Center design. 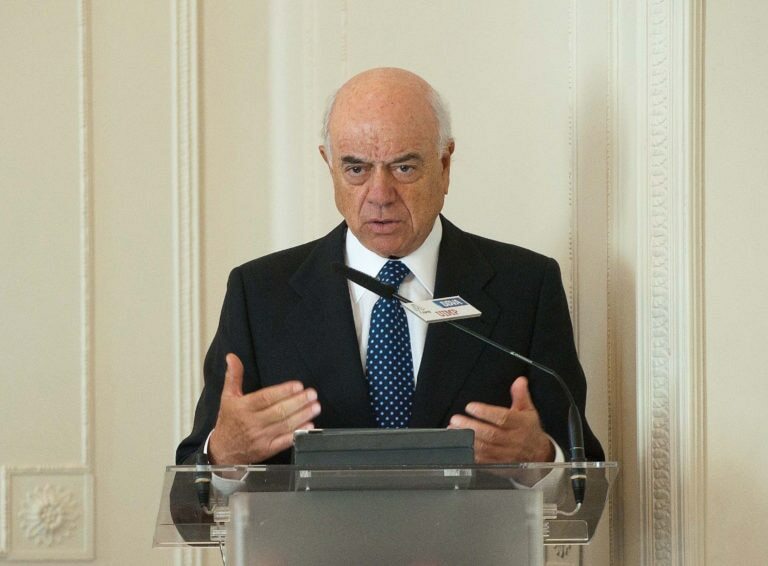 BBVA presented the project for its new Madrid headquarters today at an act attended by city mayor, Alberto Ruiz Gallardón, and the Bank’s Chairman & CEO, Francisco González. The new complex will be located in Las Tablas, a fast-growing area in the north of the capital city. It will be ready by 2011 to receive the first employees. 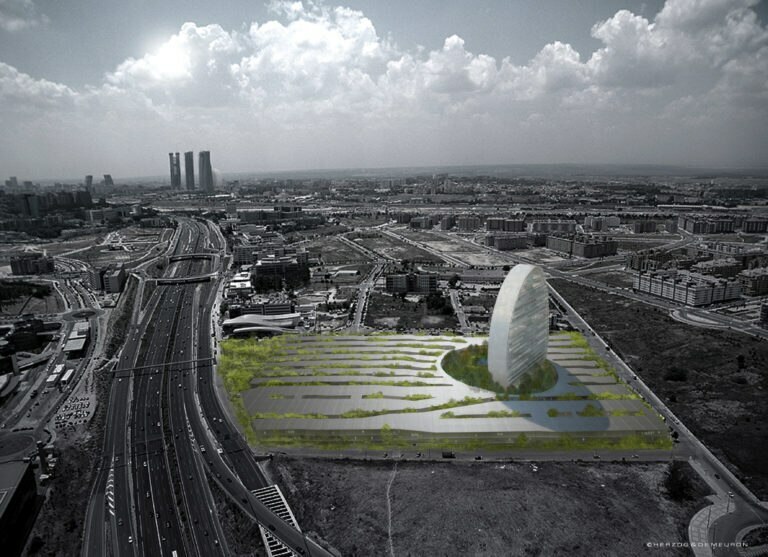 Sustainability and innovation are key aspects of this project, which has been created by architects Herzog & de Meuron.